Your business relies on an economical and robust HVAC solution that will provide reliable performance and high operating efficiency. We understand the demands of commercial HVAC applications, and have the technical experience required to provide you with superior design build and installation services. 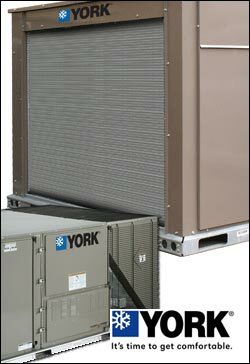 Additionally, we are backed by York®, a multi-billion dollar company based on technical innovation and business relations in the HVAC market place. Properly designed commercial HVAC systems achieve high performance levels and efficient operation. Conversely, a poorly designed system will affect load capabilities and running costs. You can rely on our commercial design build services to calculate things like part-load efficiency, unit placement and system flexibility, providing you with ideal recommendations for your specific requirements. 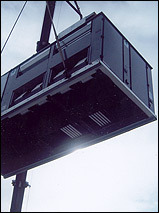 We execute commercial HVAC installations according to code resulting in a reliable, high performance solution. W.R. Smith, Inc. provides our customers with extensive preventative maintenance plans. A commercial heating, cooling and ventilation system is no different than any other equipment: it requires attention to maintain peak running efficiency and performance levels. W.R. Smith, Inc. preventative maintenance plans cover everything from tune-ups to seasonal preps and routine filter changes. 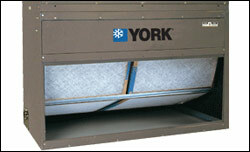 Avoid the downtime and costly repairs of a neglected heating and cooling system. Entrust us with the ongoing care of your system! York® has a long tradition of designing and manufacturing innovative products that are second to none in performance and value. From energy savings to enhanced comfort control, York® provides the advanced solutions that make them stand out from the rest, allowing us to perfectly meet the needs of our customers.